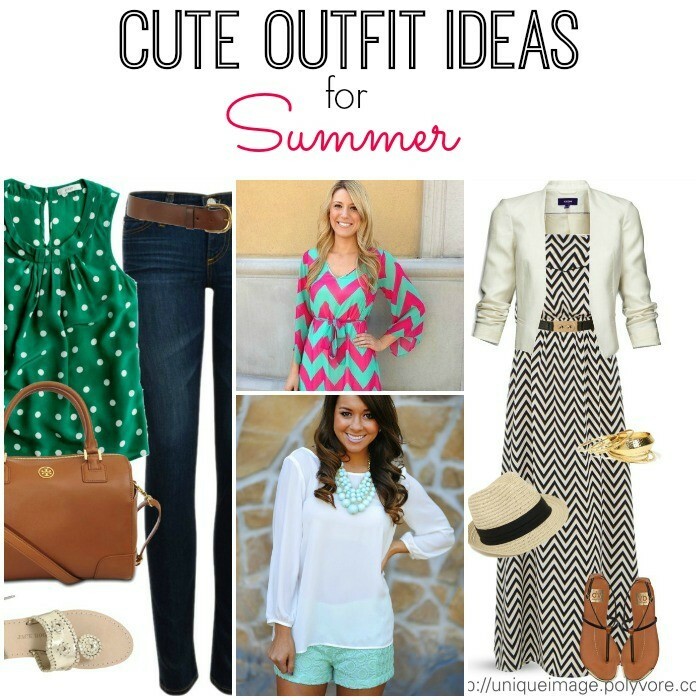 Yes, it’s time for another Cute Outfit Ideas of the Week! Let’s talk about summer style for a minute shall we? The weather here in Texas has been extremely, well drunk, as it seems to be from coast to coast. Just when I put my heavy cardigans and boots away, the cold weather comes out to play. I know it’s only April…but in Texas that usually means it’s time to break out the cute shorts, capris, dresses and sandals. I think we’re getting there and I’m still dreaming about those 80s coming and staying. Here’s a glance at some of the absolutely gorgeous things I have found via Pinterest. My daughter, who knows how to put outfits together like nobody’s business, definitely has been bitten by the anchor bug. She’s a tad bit obsessed and I don’t blame her. 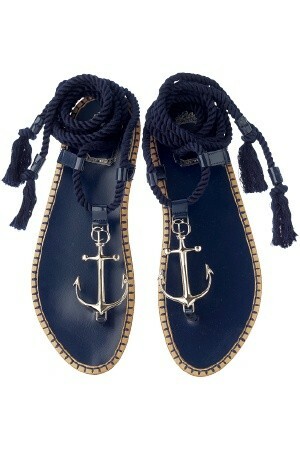 These Dior Anchor Sandals grabbed my attention and won’t let go. If you like these anchor sandals, I found some very similar here. They come in blue, black, red and white and are incredibly cute. For a variety of different anchor sandals, go here. Recreate this outfit with mint jeans, white scoop neck t-shirt, cream cardigan and handbag. What have I been obsessed with? The color mint. Mint jeans (as pictured above), mint tops, mint bathing suit bottoms, mint gum….you name it. I bought a mint cami at Kohl’s and I haven’t had a chance to experiment with it to create different outfits. The mint jeans pictured above make this outfit shine. 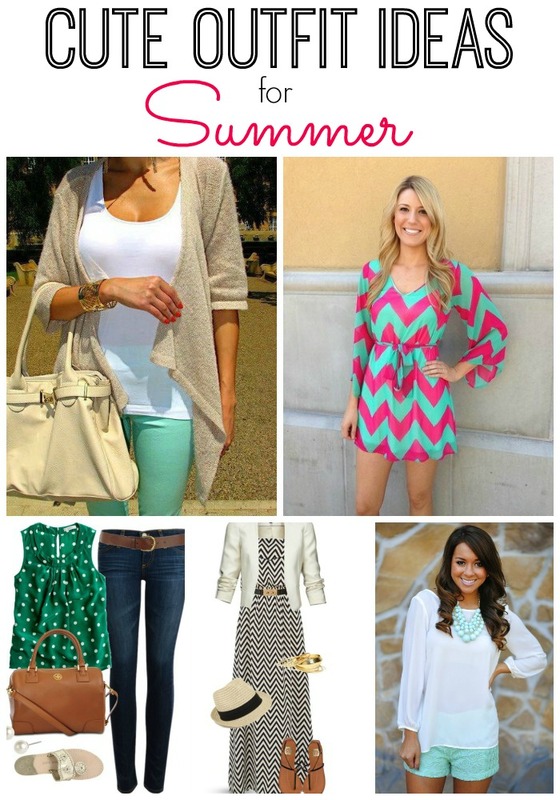 Recreate this outfit with a pair of mint shorts, white chiffon shirt and mint statement necklace. If you would like mint shorts with a pattern, these gingham ones are really cute. These shorts are so cute and the mint paired with the white shirt makes it such a fun color combo for summer. The mint necklace to match pulls the whole outfit together. What do you get when you mix the colors pink and teal with a chevron pattern? A dress sent from heaven. Gorgeous isn’t it? Although this dress is a little short for me, I absolutely love the colors put together. I would definitely wear this as a bathing suit cover-up. If I was purchasing a chevron dress, I would go for this one or this one. If you want one with some color like the one pictures above, this one is really cute. 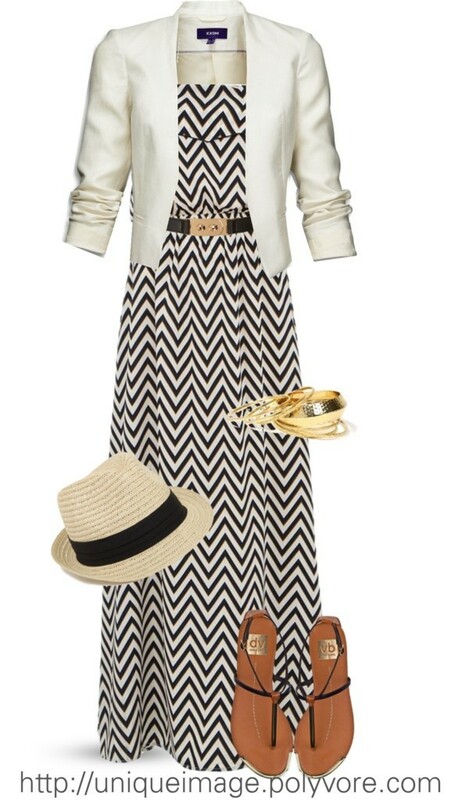 Recreate this outfit with a black and white maxi dress, white cardigan, black belt, black sandals and white fedora. Well hello there gorgeous! I love maxi dresses. I love black and white. I love the pattern on this dress! I have a brand new black and white maxi dress hanging in my closet ready to be worn. I also have a white jacket that would look perfect with it. 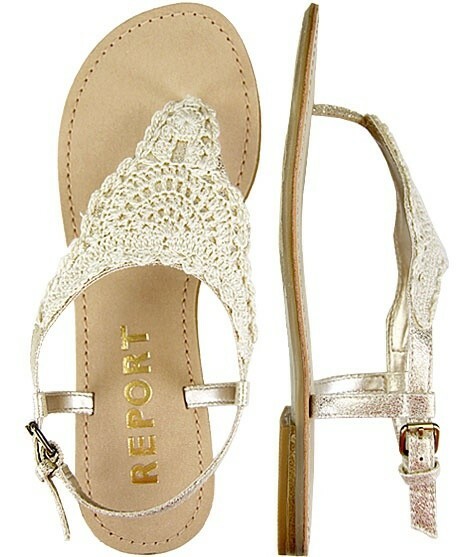 These lace sandals are absolutely stunning and would be the perfect addition to your summer wardrobe. I have my eyes on these lace sandals. I like the price and style. Recreate this look with a sleeveless polka dot top, jeans, brown handbag, and sandals. When you’re standing in your closet and you have no idea what to wear, you can never go wrong with a cute top, jeans, handbag, and sandals. This green polka dot top looks perfect with a dark pair of jeans. Did you see any cute outfit ideas this week? If so, please share in the comments section! Next articleFashion and Bows. Lots and Lots of Bows. I found them at Zappos and Buckle, but they are sold out at the moment. Where can I find this blouse?